I just came home from vacation this week. It was a wonderful week of activity, people watching, and enjoying nature. I’ve been running for about a year and a half now. 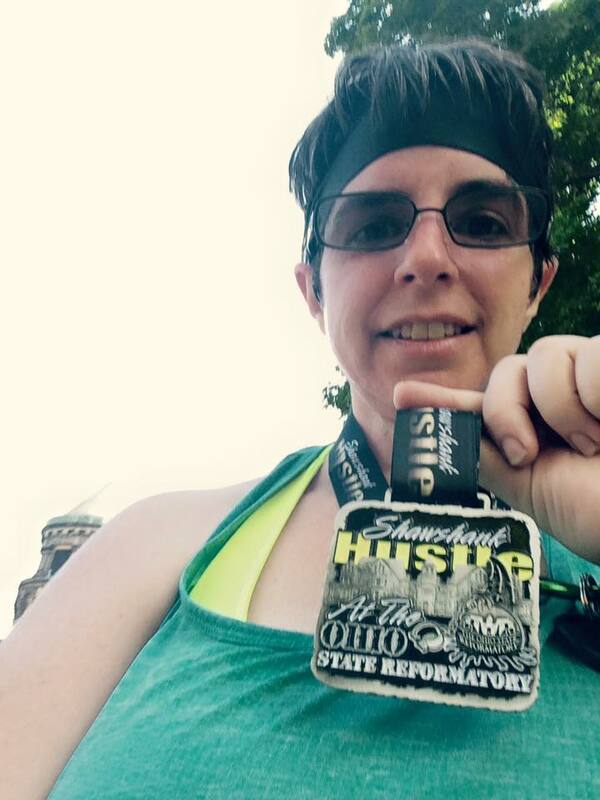 I run mostly in Ohio, and mostly in an area that is very flat. We have a few hills, but you really need to go out of your way to get to most of them. As a result, my runs have very little elevation change. I also tend to run in the early evening, while it’s still quite light out (and the bugs aren’t too bad). Although summer just ended, as summers go it wasn’t terribly hot in Ohio. All in all, it’s been a mild, pleasant summer for a novice runner. As we were planning our vacation, I scouted for running events that would fit our timeline. 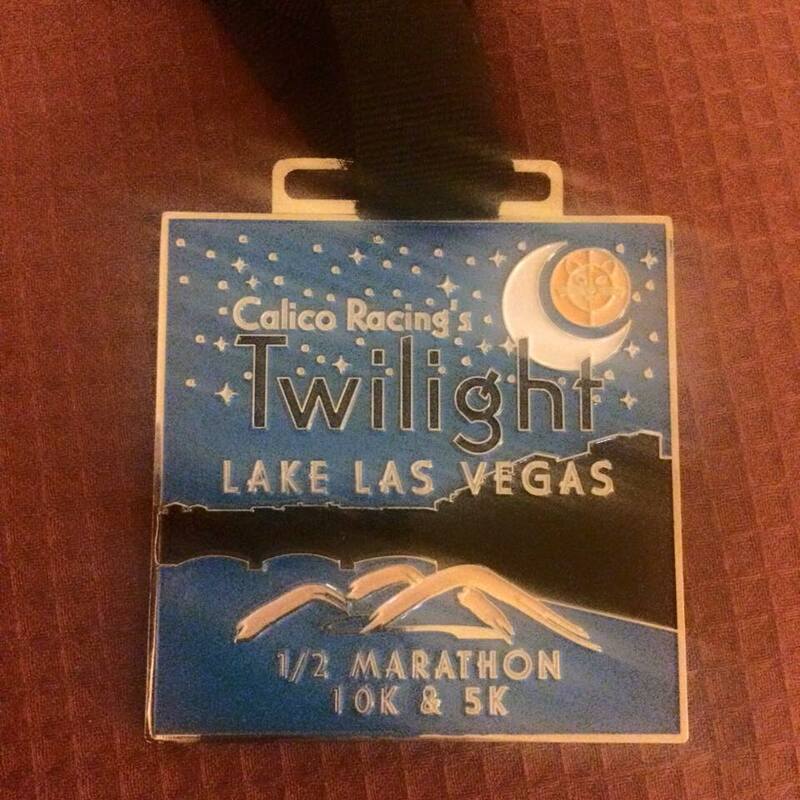 I discovered the Twilight Lake Las Vegas run and signed up for the 10K distance (they had 5k, 10k and half marathon available). I took a very bad fall a few years back that left me with a leg broken in 4 places with a full complement of hardware installed to keep my skeleton together. Although my balance has improved significantly since I began running and doing #DDPYoga, it still isn’t one of the strengths. The day of the race, we started walking from our hotel of the Vegas Strip to the Avis office a mile or so away. I stepped off a curb and landed on my knees and elbows. While I wasn’t badly injured, it hurt. My knees and hands were scuffed up, and I had fallen on the knees that has the worst arthritis of the pair. We kept going and picked up the rental car. We left Las Vegas and drove to Hoover Dam where our hotel was located. We did some sightseeing and checked into our room. It was 108 degrees. I’ve heard it said that “dry heat” is cooler than the humid heat we have in Ohio, but no matter how you look at it, 108 degrees is HOT. I spent the time leading up to the race hydrating and fueling. My training plan fell apart in the weeks leading up to the race, and although I wasn’t concerned about being able to cover the distance, I knew I wasn’t going to be fast. 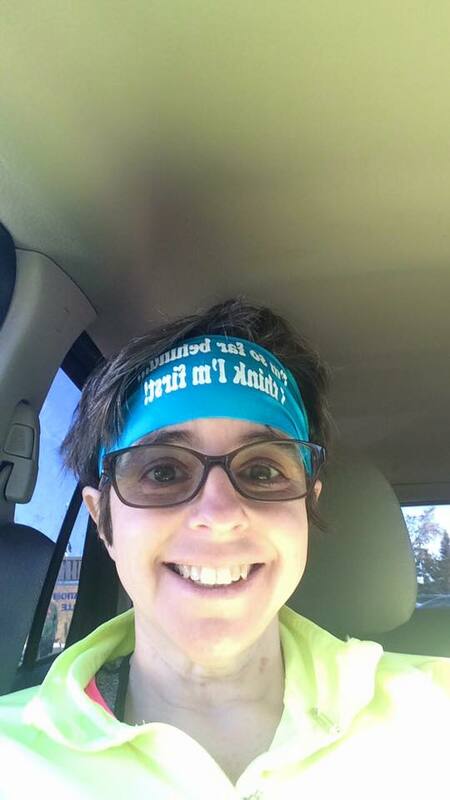 I grabbed a cooling towel and we headed to packet pickup. We drove through the Lake Mead area and enjoyed the views, stopping at multiple scenic overlooks. The red rocks and landscape seemed so alien compared to the lush Lake Erie landscape that I’m so accustomed to. My husband dropped me off at the start line and drove back to enjoy Lake Mead some more. The half marathon runners lined up first. Their race began at 6:30 p.m. I listened to the directions – make sure you have a flashlight or a head lamp. The course is unlit. I checked the lights in my trusty ball cap with “head lights.” They functioned. I decided I was good to go. The half marathoners were off, and the 10K runners lined up. The run was just starting to dim. It was still quite hot, but not as hot as it had been moments before. I tested the injured knee – no bad pain. I re-tied my shoes and took a last chug out of my water bottle before recycling it. The horn sounded and we began. The course was paved and pretty wide. As it wound through the desert landscape, I saw succulent plants. I wondered if there were snakes, scorpions, or other critters out there. I’m a “back of the pack” runner, and this race was no exception. As I neared the 1.5 mile mark, some of the fastest 5K participants passed me. Soon, I was all alone. The 5K runners had turned around, and most of the 10K runners were ahead of me. I watched the sun set, and I turned on my “high beams.” I was dismayed. Although that hat was great for letting people know that I’m out there on the road, it really wasn’t a great light source. I ran off the edge of the path once and resolved to stay closer to the middle to avoid matching hardware in the other ankle. As the course progressed, my eyes became accustomed to the dark. Although I couldn’t see well, I could at least see the path. A volunteer told me to turn left “Everyone goes up the hill.” Wow. What a hill. I wasn’t prepared for this. I made it up the hill, huffing and puffing. I went back down the other side and soon found myself running near a freeway. The oncoming headlights, while a safe distance away, destroyed my night vision, and I was soon stumbling along the edge of the path again. My cooling towel began to dry out. I got hot. Then, I heard something I couldn’t identify and I got scared. I began to question the wisdom of signing up for this hilly race in the desert with no lights. I began to question my ability to run the distance. What if there were a rattlesnake on the path enjoying the warmth? I wouldn’t be able to see it. What if I fell and nobody found me? An aid station was in the distance. I stopped for water and a volunteer asked if I would like my cooling towel re-soaked. Gratefully, I said “yes.” I finished the water. I wrapped the cold towel around my neck, and I took a few deep breaths. As I began to run again, I felt a sense of calm. As my overheated body began to cool down, the words of a praise chorus I used to sing while playing the piano came to mind. Although the sky didn’t get brighter (and neither did the lights on my cap), I felt a sense of calm wash over me as I sang the words quietly. I looked out at the horizon and saw the lights of Las Vegas. As the trail turned away from the freeway again, the quiet desert greeted me again. The course turned downhill. The going was easier. There was a lightness in my step. As I passed the 5K turnaround again, I saw a woman who was laboring heavily to get to that mark. She had a wonderful team of supporters there to encourage her. I remembered my first tentative running steps at over 300 pounds. I remembered the difficulty and the fear. I tried my best to encourage her as I passed her on my way back to the finish. Soon thereafter I encountered another struggling runner with a walker. She, too, was accompanied by friends. Although I was running unaccompanied, I wasn’t alone. There in the dark, all I had to do was cry out for comfort. My “support team” was there, guiding my steps. 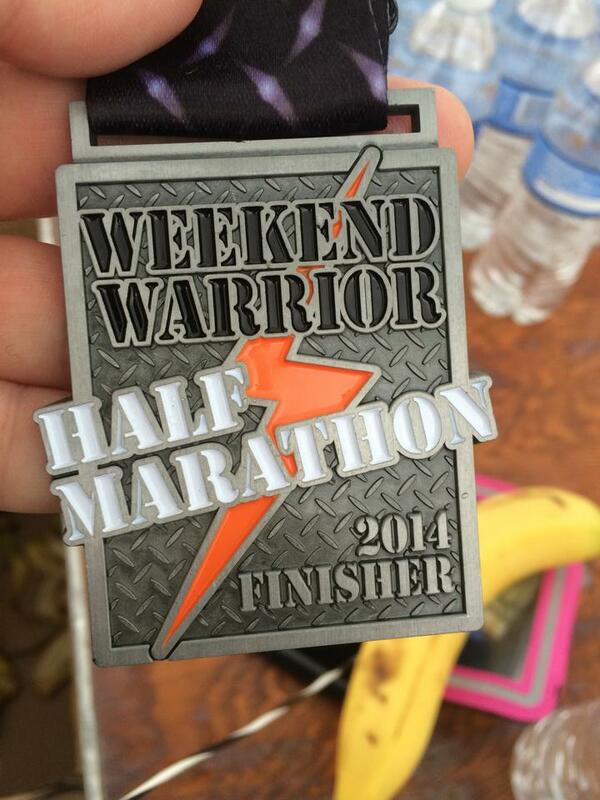 I crossed the finish and collected my medal. I grabbed some snacks and a cool water while I waited for my husband to collect me. I don’t know if I’ll do another night time run, but if I do, I’ll have a brighter headlamp, and I’ll remember that although I may be the only runner in sight, I am never truly alone. I’ve never had a good relationship with my mirror. It shows the wrinkles, the stray hairs, gray hairs, and flaws in my physique. In the mirror, everything is backwards to me. Because I’m used to seeing only my reflection, photographs look off to me. My hair is parted on the wrong side. I just look a little different. Truth be told, I don’t like many photographs of myself either – for much the same reason as I don’t like my mirror much. This past week, though, I had an unusual experience – I saw myself in the mirror and I LIKED what I saw. In fact, I liked what I saw so much that I took a picture of myself. I took that picture and placed it side-by-side with a picture of myself near my heaviest weight. I even had my husband take photos of myself from every angle. Looking at that comparison, I saw, for the first time, the remarkable changes that have taken place during my journey thus far. I realized that because I tend to avoid mirrors and looking at full length photos of myself, I have a skewed self-image. In the shower, I see the way the skin sags and the remaining fat rolls. I see each part in isolation. Although I live my life in this miraculous machine – my body – because I’m am in the inside looking out, I do not see myself as others see me. I shared one of those comparison pictures on a facebook group for members of DDP Yoga with thousands of members. It even showed my tummy, but I was so thrilled that I didn’t care. I didn’t worry about judgment. I knew the people in that community would be supportive. Comment after comment referred to my transformation as “inspirational,” and I resolved, in that moment, to try to see myself as others see me. This week, a wall of mirrors went up in my workout room – my “fortress of solitude.” I look at the woman in the mirror. She has skinny collarbones, and I can see a hint of definition around her abs. She smiles at me – and I smile back. My invisible (online) friends are awesome. We know the painful secrets we don’t tell the people in our real lives. We lament the difficulties of dieting in our secret facebook group. We have supported each other through divorces and miscarriages, puppies and empty nests. I’m going to let you in on the secret ingredient for successfully making a major change in your life. I’m not going to charge you a million dollars – not a red cent. I’m going to give you the gift of the knowledge that took me 48 years to learn. You cannot make lasting, drastic changes in your life when you hate yourself. You must love yourself. That is the secret. Think about it! If you hate someone, the energy you spend on that person is not utilized to build them up or make them better. Hatred, loathing, and disrespect for someone lead to destruction. Hatred causes us to focus in the wrong way. In order to lose 100+ pounds, I have had to make some major life changes. Some have required a lot of time. Others have required a lot of money. Still others have required me to put my feelings above someone else’s. To lose weight and get healthy, I have devoted hundreds of hours to running and working out. Those are hours I could have used many other ways. To make that kind of time, I had to put myself first. I had to learn to say no to other things. If I hated myself, it would be far easier to convince myself that I’m not worth the time away from my family that it takes to be active. I have had to change the way that I eat. I love myself enough to cook whole foods from scratch – another 8 to 10 hours per week (not including grocery shopping). I cook according to my food plan – not according to my family’s food preferences. They are welcome to add or subtract from my menu, but I don’t cook what I can’t eat. I love myself enough to ensure that the food in my house is healthy and wholesome. If I hated myself, I could continue to sabotage myself by buying processed and prepared foods. Buying whole foods is often more expensive than buying junk. I love myself to spend the extra money to buy the food that I need. I love myself enough to risk hurting someone’s feelings when they offer me food that isn’t on my meal plan. I love myself enough to spend the money to buy proper equipment to avoid injury while I run. 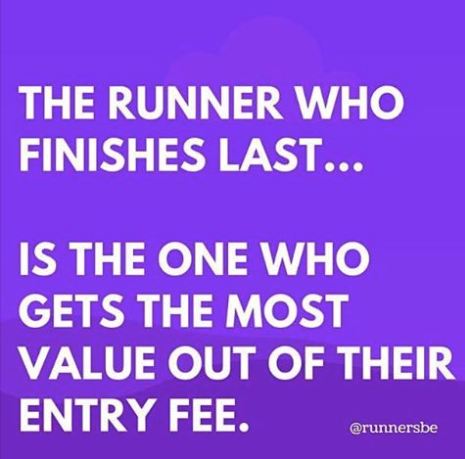 I economize in other areas of my life in order to afford good running shoes, a GPS watch and fees for races. This is the third time in my life that I have lost 100 pounds. The difference this time is that I love myself. I don’t hate my body. I don’t hate my loose skin or my stretch marks. I love the person I am. I love the person I am becoming, and I value the lessons that I learned through being morbidly obese. The secret ingredient to successfully making a major change is love. You must love yourself enough to put in the work to achieve the goal.